Dusty hay can be hard on not just equine lungs, but human lungs as well. 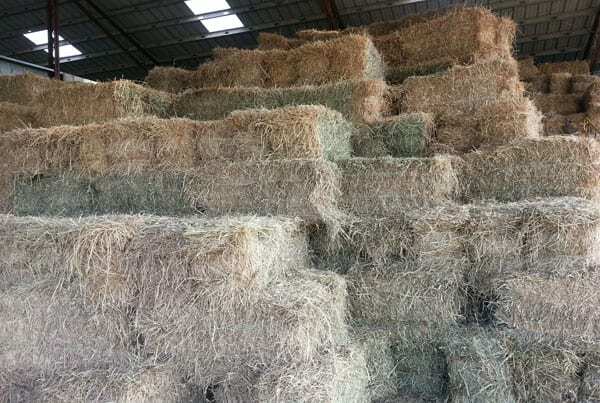 Emily Boyce was completing a project for her equine studies class at the Royal Agricultural University in Gloucestershire, England, that involved studying hay, when she discovered just how dirty working with hay can be. Emily was wearing a face mask while filling 45 haynets to use as samples for her project when she realized that after filling about 20 haynets, the mask was especially dirty. The University requires that students handing hay wear masks, though Emily does not typically wear one when working with horses outside a school setting. Emily's owns a pony that suffers from equine asthma, so she has had concerns about the amount of dust in hay in the past. Wearing the mask for her study reinforced to her just how harmful working with hay can be for lungs; she was working in a large space with open doors, and the bale was not moldy. Posting an image of the dirty mask on Facebook garnered hundreds of comments; Emily said she was going to buy masks to wear every time she handles hay. Read more at Horse & Hound. This entry was posted in Horse Care and tagged asthma, breathing, dust, facemask, hay, haynet, lungs, Royal Agricultural University, safety by Paulick Report Staff. Bookmark the permalink.